Carolina has seen quite a few sharks this summer and the eleven (11) human attacks that have taken place have made visitors think twice about going for a swim during these hot months. And even though two great white sharks have recently been spotted off the coast of Massachusetts, Greg Skomal, state marine biologist from the Massachusetts Division of Marine Fisheries, firmly believes that there’s nothing to worry about. 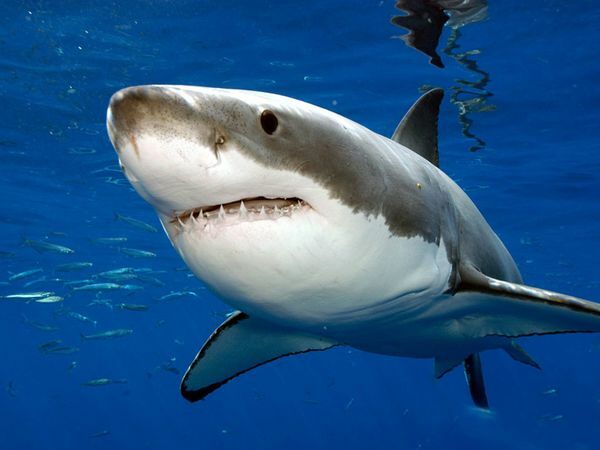 He gave a statement saying that people generally worry when they hear that an area has seen a significant number of shark attacks, especially if said attacks took place in areas like South Carolina and North Carolina. People immediately assume that that’s going to become the norm around Cape Beach, but he assures everyone that “that’s not the case”. He’s been researching the issue for six years now by tracking and tagging Great White Sharks. His team managed to find 68 specimens just last year, but the thing to know is that Great White Sharks are largely migratory marine animals that travel great distances on a yearly basis. So even though they’re in the area right now, they’re not going to stay here for long. But Skomal also admitted that these creatures can be dangerous as they’ve been involved in several unprovoked attacks. He advises people to uses a little common sense when they get into the water and “be proactive in their thinking”. However, it’s worth mentioning that the sharks have also helped people as merchandizing has skyrocket in the area, especially in Chatham. The town has started selling everything from post cards to T-shirts, and also hosts exhibits with ornately-decorated sharks, the most recent one being “Sharks in the Park”. Dan Tobin, Parks and Recreation director in Chatham, also gave a statement informing that while sharks have been good for tourism, visitors often ask him where they can go to see a Great White Shark. The problem is that he has to explain to them that this is not an aquarium. The animals intentionally stay away from shore, and only get close when they want to feed. But this answer often disappoints people. As far the general public’s protection goes, Leslie Reynolds, Cape Cod National Seashore’s Chief Ranger, gave a statement of her own explaining that Seashore has posted signs and released messages informing people that “whether we see the sharks or not, whether the fin is breaking the surface or not, the sharks are in the water”. She shared that they feed on seals and advises people to keep their distance from these animals in order to avoid encountering a Great White Shark. Another thing they can do is stay in shallow water where their feet touch the ground.